I know it is quite a full on post to start with but as I am still dealing with this fibroid issue it is quite a hot a relevant topic. Besides, since I have been diagnosed with fibroids I have been doing so much research that it could be useful for someone in the same situation to be told about one´s journey. I started with some unusual random light spotting last year, 2016, in May. At the time I put it down to not having the mini pill at the right time. Though this seemed quite unusual to me, I thought it was the most plausible explanation. As I was not taking my pills at the exam same time -not using the alarm clock as I have seen other people do- I thought my body was just being too sensitive. After a summer of stress and ,luckily, loads of love and fun the spotting did not stop so I went to my GP. There the treatment I received was very polite but shockingly dismissive. I was literally told “bodies change” as an explanation to my spotting. They asked about stress, I told them about my job (teacher and deputy housemistress in a boarding school) and they linked it to it. That was all. By the end of October the spotting was more frequent and heavier. Over the half-term I decided to pay a visit to A&E back in my home country, Spain. By then I was aching and hurting. They scanned me and found an 8cm fibroid and some others. I was referred to a specialist and went back to the UK waiting for my apointment. In the meantime, I contacted my health insurance. Yes, I have a health insurance, which is against my principles because my local doctors are rather dismissive. With the scan results in hand I headed to the hospital where I underwent and MRI and several blood tests. The scan results were pretty clear and this was just to make sure it was just that and there were not any other complications that the scan did not pick up. With all my results, I faced the scariest doctor visit ever. I sat down and my gynaecologist asked me straight away “do you want to have children?”. Imagine, I am 37 and until now I had not met the right person or even knew if I wanted. I started to ask myself big questions for which I do not have the answers yet. On the bright side, my doctor – also a woman- was very keen to try anything before having actual surgery just to avoid the odd change of losing my womb. I was so scared, tired and ignorant that I wanted to “get rid of it” regardless of the consequences. I talked to my mother, my sister and friends. After a week of reading and having lots of talks to other women decided to try Esmya which is a palliative and preservative treatment. Esmya is a medicine that contains the active substance ulipristal acetate. It is available as tablets (5 mg). It is basically the same principle of the “day after pill” but in a different dose. I know, it sounds strange, right? Esmya it is a progesterone inhibitor drug. Progesterone has been linked in controlling the growth of the lining of the womb and could be the cause in some women of its existence. Esmya induces some kind of forced menopause in your body by doing so. Post’menopausal women have been found not to suffer from this. If the cause of your fibroid is hormone related, this could be the answer. Having said that, doctors are not very sure why they appear and how to control them. Esmya costs in the UK and it is not covered by the NHS if you are in North Yorkshire but I just learnt that ladies can have it under NSH in Lancashire. In fact, many doctors will not even prescribe it. In my experience, they do not even know it. Why would they, if they cannot offer it? They have heard of it but not much more. The 28 tablets can be purchased for the whooping price of 163.42 pounds which is what I paid my first month. I have found a site on google which states that they are sold for around 105 pounds but that is not my experience, and I did ask in several pharmacies. If you are with an insurance they will not cover it either. The good news is that in Spain the Seguridad Social (Spanish NSH equivalent) covers most so you just pay 4.75 euro. Spanish research found that ,over time, paying for Esmya is better for two reasons: 1. it spares a good number of women with minnor fibroids from an operation and makes surgery much less invasive for many 2. it saves money by sparing women from surgery. Esmya also reduces the symptoms such as bleeding, pains, etc but also has side effects. Overall, in my personal experience I have found Esmya to be good: after one month I had to run to hospital. I had a severe urine infection which had symptoms which could be similar to those of a big fibroid. The doctors scanned me again just to make sure that everything was ok. They found out that my fibroid had reduced from 8 to 6 cm in a month. So the answer is yes. I am not sure this massive decrease in size will continue. In fact I see no difference now. But it is already a gain and a step forward. I am yet to finish my one year treatment. I take it for 3 months and I am off 2. We will see at the end. I am due a checkup soon, so I will keep you posted. Unless surgery is a must and a pressing matter you should have these into account. Have you got children or would you like to? Even with minor surgery, you will be left with scar tissue which can rupture once you have a baby whilst in labour. Preserving and diminishing the size and side effects of fibroids here is a good idea. Considering other options such as embolisation (not my favourite after speaking to my doctor). The rule of thumb here is that if you do not have an urgent case is better that you take your time. Every treatment has side effects and you should weight up their possible consequences and their long term significance in your life. I wrote this because I read the post of a Spanish doctor who suffered from fibroid. Because she was over 45 at the time, all her colleagues advised her to have a hysterectomy (full removal of the womb). 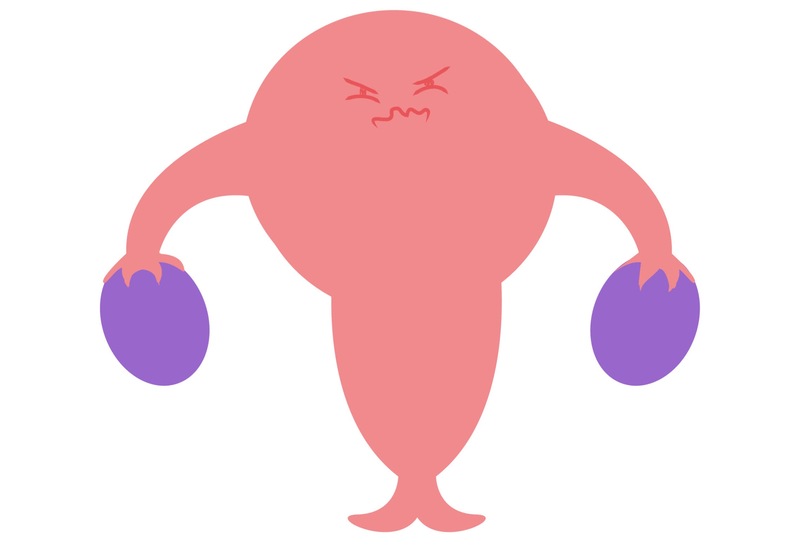 Our uterus has a function in our body, apart from “hosting and making babies”. This doctor explained her experience and made me want to try. As of today, I still do not know if I will ever have children and I am aware I am 36 and I want to continue to enjoy the hormone regulating functions of my womb no matter what. I have recently been prescribed Esmya by a Dr. In Mexico. I live in the U.S. and googled this product and articles state that Europe has not approved this medication for possible liver damage. In your experience, did they test your liver enzyme level,afterwards? Well. It has been prescribed knowing that it could be dangerous for the liver, not in eveey case but in some cases. I am nearly teatotal so my liver suffers less from alcohol than most people. I believe my doctor took this into account when prescribing Esmya. I have been having monthly check-ups, my levels where slightly different than my usual ones but within the normal range. I have now stopped having Esmya as I’m having a myomectomy. Having my final tests hater 3 courses of Esmya. I am more than happy to update you on it.